The New Year is upon us! So we at SwimSwam are wrapping up our 2016 Swammy Awards with a look back at the 16 biggest stories of the year 2016. Hungarian iron lady Katinka Hosszu wasted no time redeeming herself after missing the 400 IM podium in 2012. The first things many of us think of when we hear the name Michael Phelps are the records he has broken or the medals he has won. 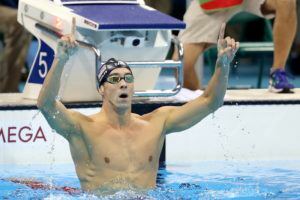 But Phelps’ legacy is also encapsulated in the individuals he inspired to pursue greatness. For sheer perseverance and commitment to a goal, Plummer is the recipient for the Heart of a Champion Swammy Award. 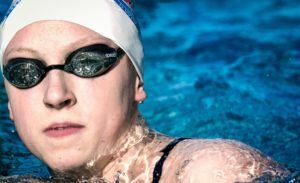 Though Katie Ledecky has been an Olympic gold medalist since she won the 800 free at age 15 in 2012, the teenage distance phenom truly left made her mark on the Olympic stage in 2016. After setting South American continental records in both the long course and short course 50m freestyles over the course of the year and grabbing a pair of FINA Short Course World Championship medals, Brazilian standout Etiene Medeiros is our South American Female Swimmer of the Year. Unlike many of our Swammy winners this year, Medeiros’s biggest victories did not come in the Olympic event finals (although she did post the highest finish of the female South American pool swimmers, with a 24.69 for eighth in the 50 free). 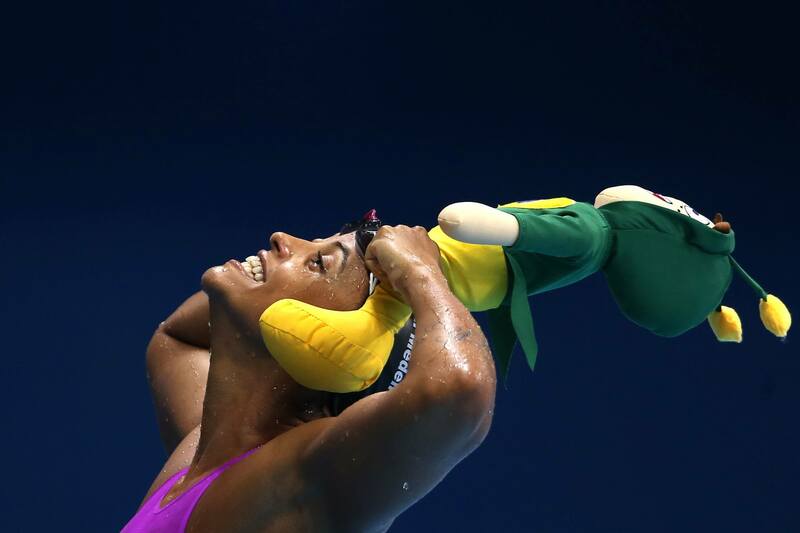 Instead, Medeiros set her South American record in the Olympic semifinal with 24.45. 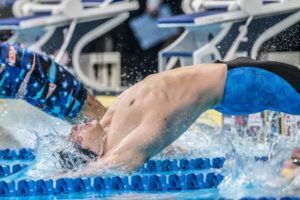 Just a few weeks later at the Jose Finkel Trophy, Brazil’s short course worlds qualifier, Medeiros set a new short course South American 50 free record to match with a 23.88 in heats. And then, last week, Medeiros defended her world championship title in the 50 SCM backstroke, coming in ahead of Katinka Hosszu and new American record holder Ali DeLoof to post 25.82, just .15 off her own world record. Medeiros also played the lead-off leg to Brazil’s silver medal 4x50m mixed medley relay, swimming 25.93 as one of only two women to swim the backstroke portion of the event. Manuella Lyrio at the 2016 Jose Finkel Trophy. Photo: Satiro Sodre/ SS Press. • Manuella Lyrio: This summer in Rio, Lyrio set a new South American record in the morning session of the 200 free, posting 1:57.28. She went on to finish 12th in semifinals, becoming the first ever Brazilian woman to make the Olympic semifinals of the event. 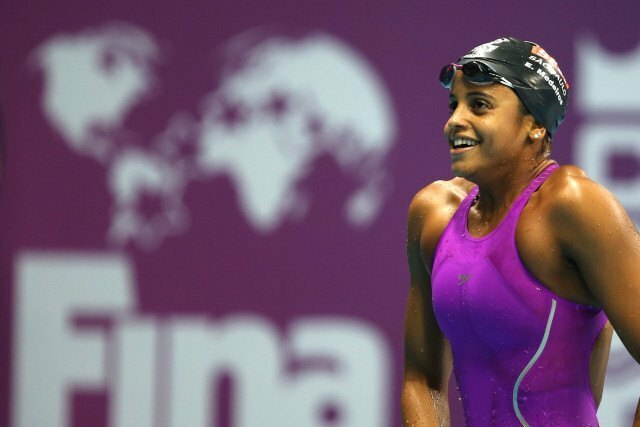 She was also part of Brazil’s South American record-setting 4×200 free relay, competing alongside Jessica Cavalheiro, Gabrielle Roncatto, and Larissa Oliveira for 7:55.68. 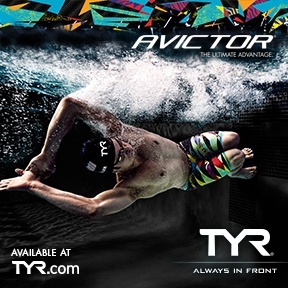 Just a couple of weeks later, Lyrio set a short course South American record in the individual event as well, clocking 1:54.76 at the Jose Finkel Trophy. • Julia Sebastian Like our other two honorees in this category, Sebastian set a pair of South American records this year. With her 2:27.03 LCM 200 breaststroke from South American Championships and her 2:22.28 SCM 200 breaststroke from the Jose Finkel Trophy, Sebastian was also the only non-Brazilian female swimmer to set a South American continental record in 2016. Well Medeiros has great results, but lets not forget about her positive result right before the olympics! What a coincidence she was from the host familiy and did not get punished at all!!! Way to celebrate doppers swimswam! Not trying to cheer doping athletes, Medeiros was caught with a medicine she ALWAYS use(several years) against asthma.The problem:the lab didn’t receive the TEU when her sample was collected.